A tactical reload is a reload performed when the partially full magazine or cylinder of a handgun is replaced with a full magazine (for semiautos) or extra rounds (in revolvers), returning the firearm to full or nearer-to-full capacity. For semiautos, the partially full magazine is retained on the shooter’s body, not discarded on the ground as it would be in a slide-lock reload. Gunfight strategy: the general philosophy here is there being a break in the action of a defensive encounter, and the chance to top off your detachable-magazine firearm during those precious seconds of peace. IDPA shooters follow this line of thinking in competition, performing mandatory tac loads from behind cover (Dear picky reader: you’re right, it’s concealment in most cases, but in the context of this website, “cover” paints a clearer picture). While it’s unlikely a civilian concealed carrier will be in an encounter that lends itself to a tac load, several such occasions have been caught on police lapel cameras. Civilians are often the actual first responders to a violent incident. 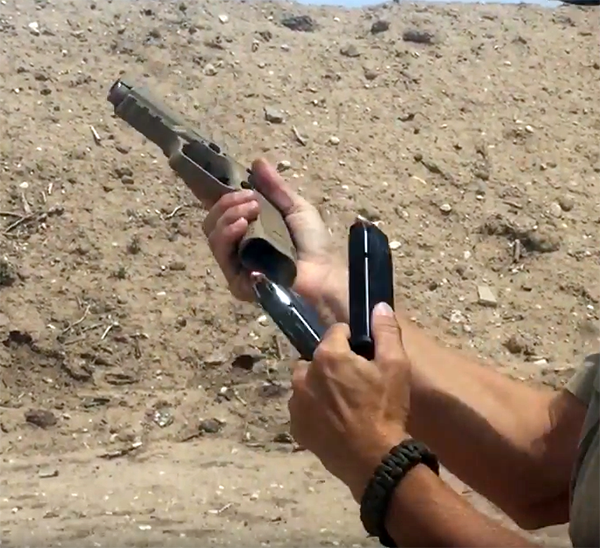 In my opinion, it’s comforting to know I can easily perform a tac load if needed–especially when carrying a pistol that holds less than ten rounds! 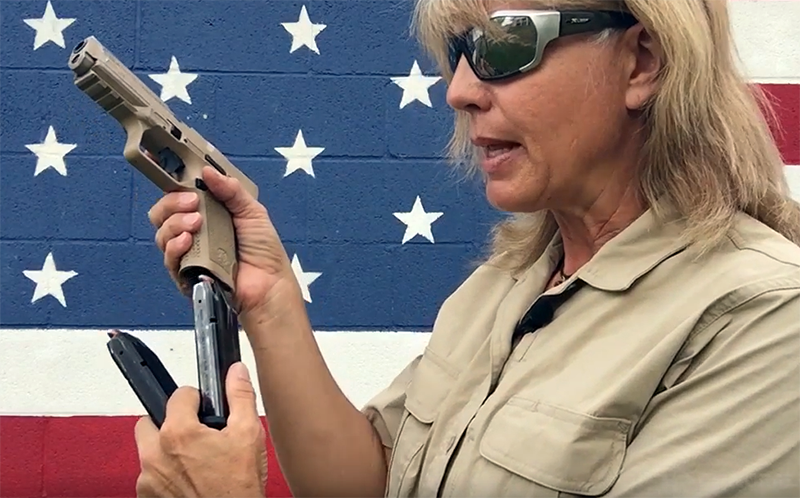 Range safety and efficiency: At the end of a string of fire during a practice session, alone or in a group, it’s often useful to perform a tac load while the range remains clear to handle an unholstered gun. In an intense training session, performing a tac load can buy trigger time instead of reloading time during the next drill. Maybe I just finished practice and am reholstering my EDC gun for the rest of the day. Whatever the reason, it’s safer to perform a correct tac load from the firing line than from a table or in a vehicle. Magazine malfunction: After firing five shots from his 13-round mag, Joe experienced a malfunction that didn’t respond normally to the tap-rack clearing procedure. Upon removing the magazine, one round fell out of the mag, and he could see others inside it, rattling around at strange angles. Whether during practice or protecting himself, the only good response in this case is a tactical reload! Otherwise, as Gunsite instructors are fond of saying, you have a rock, not a gun. Mastery of your weapon: Marksmanship, AKA hitting what you’re shooting at, is only one component of competent firearm use. Manipulating the gun—including the draw, reloads of both kinds, clearing malfunctions, and overcoming any built-in barriers like safeties and holster retention–often determines who wins, whether the competition be for points on a board or waking up the next morning. With the tac load in your toolbox, the winner’s more likely to be you. The video shows one of two techniques I’m aware of for a good pistol tac load. Hat tip to the Gunsite Academy staff who first walked me through this method. It has served me well over the years with a variety of pistols, and is easy to learn. In fact, with a gun and mags that are double-checked to be clear of ammo, you can practice tac loads from the comfort of your living room. This demo includes two handguns, one full size and one concealment size, with mags located accordingly. It’s provided as an example of the importance of knowing your gear and practicing enough that you can operate them without a fuss. Now go practice! Have you seen our free dry fire course? This video was shot in 100F weather. But you won’t see me sweat in Propper’s Summerweight shirt. Thanks, Propper!